As we’ve recently become members of the Glasgow and Edinburgh Chambers of Commerce, the first social activity we’ve decided to get involved in is a football tournament organised by Business Fives. This is the 2nd year of Scotland’s national business five-a-side championships, bringing companies and colleagues from across Scotland together whilst at the same time raising money for a charity of their choice. We will face other teams in the Professional Services heat in Glasgow on Tuesday August 8th under the umbrella of the Glasgow Chamber of Commerce. Each company is expected to raise at least £100 ahead of the game and with around 100 companies taking part, the organiser ultimately expects these to translate into over £10 000 donated to local charities across Scotland. In addition, each company contributes to the main pot which will be donated to the winner of the national finals chosen charity, so with any luck it will be ours, that is United Glasgow, a wonderful local charity which promotes the values of diversity, tolerance and inclusion. Consequently, United Glasgow stands firmly against exclusion, racism, xenophobia, sexism and homophobia. If you haven’t yet heard of this incredible organisation, we’re sure you will as they’re going form strength to strength from their foundation in 2011. Their two guiding principles are anti-discrimination and financial inclusion. By keeping costs to an absolute minimum and not charging players for games or training, they have managed to bring together individuals from communities who would otherwise probably never have met through a shared love of football. The largest growth in 2014 was the rapid progression of women’s football who moved from a group in the Kick Off Together programme to joining the Scottish Women’s Football League in March 2015. 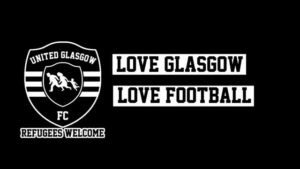 While they have already worked with hundreds of young people in Glasgow, they hope the project will continue to grow – incorporating more community education and inclusion projects in partnership with other organisations – and result in a true community football club which represents all of Glasgow; regardless of background or financial standing. 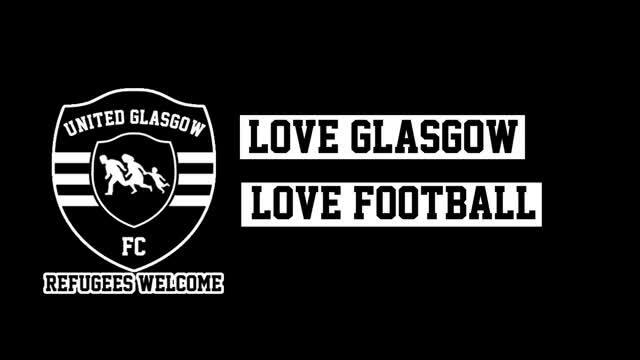 So, to sum up, you can find out more about United Glasgow here. You can also lend your support with a donation by visiting our crowdfunding page and if we win, there will also be a financial award for the charity in addition to the funds raised before the tournament. Your support is therefore very much needed and appreciated.